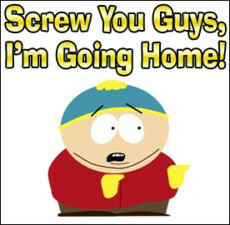 lol i love carman and Butters lol hahah ADHDHD! PASTE THIS ON YOUR PROFILE IF YOU LOVE NARUTO!! You laugh at us because we're different. We laugh at you because your all the same. the gang goes to jr. high for ninjas and they have to face all the dramas,good times,and worst of all the homework! Write a letter to me. Tell me about yourself. Your hobbies, your family, anything you want! I have to draw fast & well. Otherwise I'll be buried in requests forever! yay!^_^ oh wats ur least fave class in ur school?